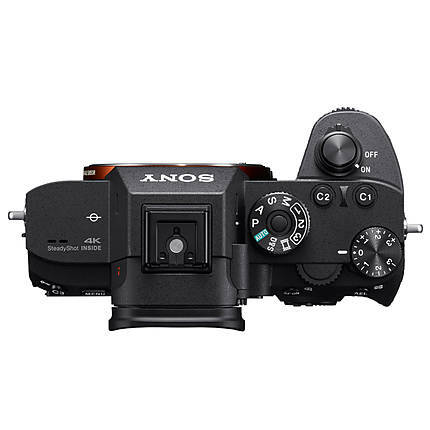 The Sony Alpha a7R III is the newest member in Sony's Alpha-series mirrorless digital cameras. This camera works with Sony E-mount lenses. 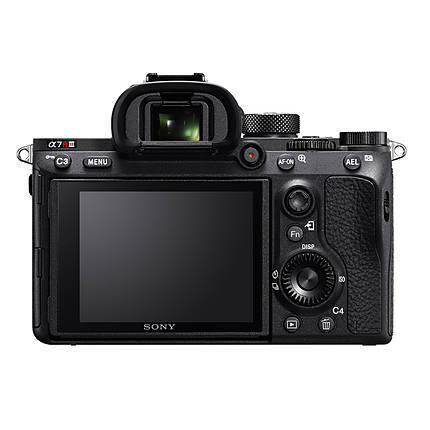 The camera offers high-resolution stills and videos with minimal noise by using the 42.4 MP full-frame Exmor R BSI CMOS sensor and a BIONZ X image processor. 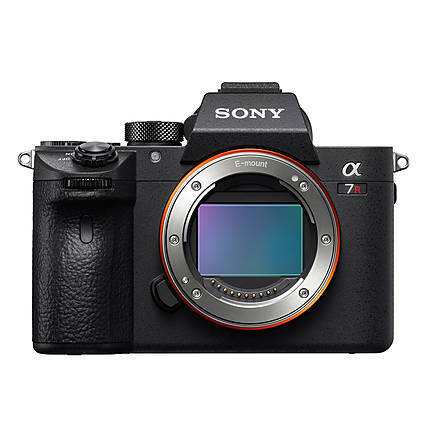 The Sony Alpha a7R III offers a maximum ISO limit of 102400 and a fast shutter speed of 1/8000th of a second. You can record videos in UHD 4K videos at 30 fps. This camera comes with an updated Fast Hybrid AF system that includes a total of 399 phase-detection and 425 contrast-detection points. Your handheld recorded footage becomes smooth thanks to the 5-axis SteadyShot INSIDE image stabilization system. The camera includes other features such as S-Log2 and S-Log3 gamma setting, anti-flicker, picture effect modes, Wi-Fi, and Bluetooth. 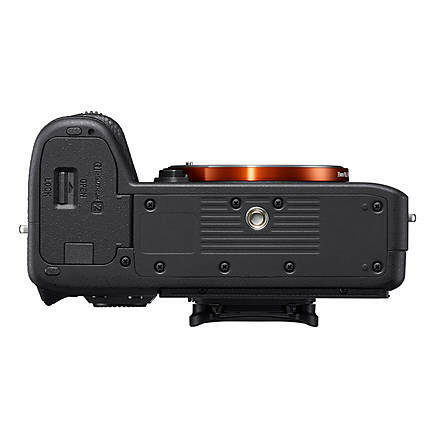 This camera employs a newly updated Fast Hybrid AF system, which offers a fast focus with its 399 phase detection points covering 68% of the frame. Also, 425 contrast detection points ensure accuracy in subject tracking to provide a quicker autofocus performance than previous a7R models. The focusing system also delivers fast low light response down to -3 EV. You can boost the camera's ISO sensitivity up to 102400 in extended mode. The shutter speed can be increased up to 1/8000th of a second to take clear shots of fast-moving objects. 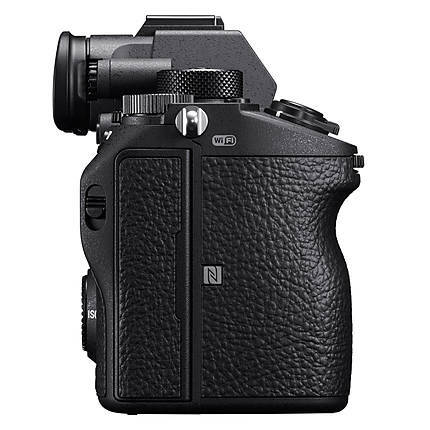 This mirrorless camera is fitted with a 42.4 MP full-frame Exmor R BSI CMOS sensor that brings out small nuances in the picture to make it vibrant. It has a gapless on-chip lens design and an anti-reflection coating. The omission of a low-pass filter ensures enhanced detail and light collection. The camera allows you to shoot from a high or low angle with its 3-inch, 1440K dot tilting touchscreen LCD. Alternatively, you can use the OLED Tru-Finder that gives a 3.69m-dot view of the scene with 0.78× magnification. You get a 100% screen coverage with both LCD and electronic viewfinder. 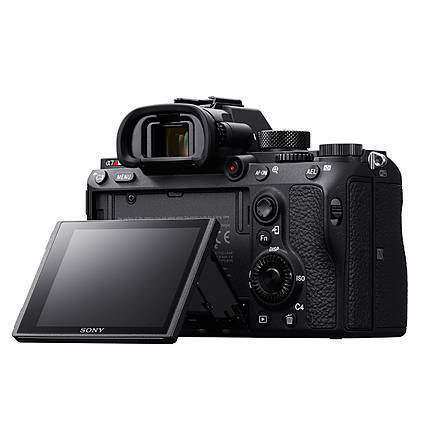 This Sony camera captures images with a maximum resolution of 7952×5304 dpi in JPEG or RAW format. 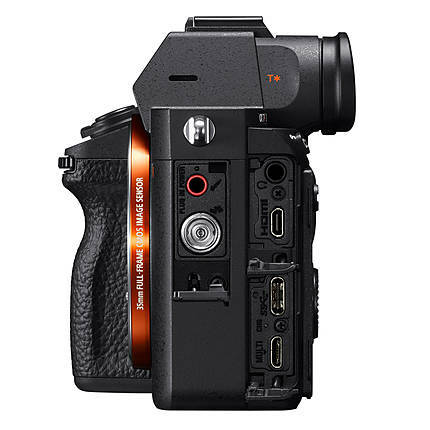 The 4K quality video recording at 30 fps and the continuous shooting mode at 10 fps is supported by the BIONZ X image processor. Moreover, the processor joins hands with the high-speed front-end LSI to offer fast processing speeds and ability to capture images with a 15-stop dynamic range. The S-Log2 and S-Log3 gamma control offer flexibility during post-production by allowing you to control the gamma, black level, knee, and color level. The built-in Wi-Fi and Bluetooth allows you to send images to smartphones. With the NFC support, you can synchronize your smartphone with the camera on a single touch for remote operation. The hot shoe accepts electronic flash units while the PC terminal offers connectivity to strobe packs or wireless radio remotes. You can synchronize the connected flash up to 1/250th of a second. The self-timer can be set to 10, 5, or 2 seconds for delaying the shutter release. This camera runs on a 2280 mAh NP-FZ100 Li-ion battery that gives approximately 530 shots on a full charge. An external device that can be used to activate the shutter in a camera so no physical contact with the camera is necessary. There are both wired and wireless remote controls for various applications.